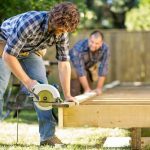 When homeowners need to hire a professional, they often start asking local friends and family for suggestions. This approach can help identify someone near you who has a reliable reputation. 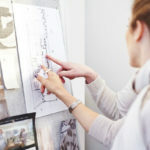 Remember that some personal recommendations may not be appropriate for your project, and that you should always verify the pro’s qualifications on your own. Start by visiting online directories with pre-screened professionals to read reviews about various companies and contractors you might call. While you might see a negative review or two for any business, a series of problematic experiences should raise a red flag. You’ll be more likely to get balanced feedback from organizations that follow up on the pros listed on their sites. States generally control licensing for people in professional trades like plumbing. You can usually visit the state licensing board to see if a person holds a current license. Most of the time (but not always), a valid license means that the professional also carries state-mandated insurance and bonding. When you start vetting companies, ask for proof of insurance. As you start to browse through your options, you’ll discover independent contractors and companies with several plumbers on staff. Bigger businesses could have a team of people available to address your problem at any time. However, the person who comes to your home may not be the one holding the company’s certifications. Independent plumbing contractors with a current license often have more experience, but they may book up quickly. The one you pick depends on what you need done, and how quickly. When you make the first phone call, pay attention to how you feel as you go through your list of questions to ask a plumber before hiring. To get more information about the company, describe your concerns in as much detail as you can. Need to find a pro for your Plumbing Project? Sooner or later, we all need to call a plumber. It is expensive and there’s no way around that. But, there are a variety of ways to get the most value and save money hiring a plumber. The first, and often only thing, that consumers zero in on is the hourly rate. People figure that they should hire the reputable firm with the lowest bid. Sounds simple and direct, but this isn’t always correct. Consumers can get confused over the meaning of “reputable.” If people have heard the company name many times over the years, they may feel that the firm must have a high degree of credibility. Unfortunately, this is often untrue. 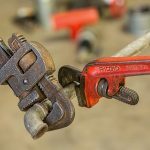 In the plumbing field, several of the most highly promoted companies have troubling reputations. This is why it’s important to go through a prescreened plumbing service that completes background checks and provides reviews for listed professionals. It is also difficult to compare rates because of the many ways plumbers bill for working hours. Travel time is a factor that should be considered. Pros spend a good part of their day driving from job to job. They must be compensated for this time. 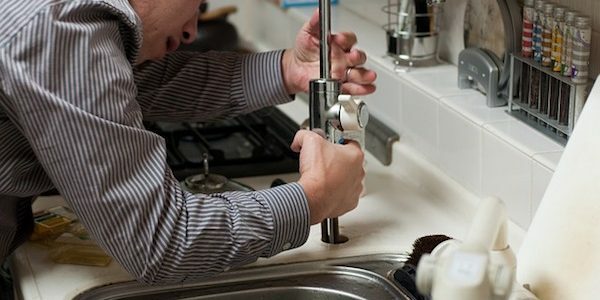 The best way to select a plumber is in the professional’s overall ability to deliver consistently good service. Customer satisfaction considers all these issues and constitutes an accurate indication of value received. 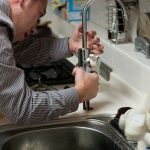 An entirely different approach to saving money on plumbing is to reduce the need for them at all. The most common calls have to do with drains. Many homes have one or two problem drains and several that never need any attention at all. Grease buildup serves as a likely source of kitchen drain clogs. You can counteract this by doing things to reduce the buildup. Avoid pouring greasy substances into the sink. Take care when using cleaning products that may eat away at the pipework. Hot water can help to soften fats in the pipe, but you might want to consult a plumber before dumping boiling water in the sink. Hair is another common factor in many plumbing problems. In most cases, hair collects in the screen or shower drain cover. Next time you schedule a plumbing consult, ask about ways to prevent the hair from getting in the drain. It’s much easier to gather it off the screen periodically than it is to deal with a clogged pipe. If there is no cut-off valve, consider installing one. Any water left in pipes exposed to temperatures below 20 degrees Fahrenheit may freeze. Even pipes located inside the home can pose a threat if they sit in unheated areas. 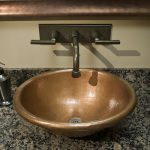 A popular and effective way to save money on plumbing calls is to buy your own fixtures. Traditionally, plumbers sell you the toilets, sinks, and faucets that they install. Typically, they’ll get the items at a discount and charge you full price. Plumbers do this to make money and to cover the costs of dealing with purchases, returns, and storage. In recent years, however, some of the home center stores now charge you prices that are even lower than the contractor prices that plumbers pay their suppliers. As a result, you may do better buying your own fixtures, providing you have the time to invest in shopping around. Many fixtures that appear to be great buys are poorly made or are missing adapters, installing kits or other components that normally come with similar products. Shop carefully. If you supply the fixture and something goes wrong during installation, there is likely to be some confusion as to whose responsibility it is. One way to get around this is to check with the plumber up front about recommended brands or lines, and then buy those brands. Every product line has its own installation quirks. Choosing a fixture that is familiar to your plumber ensures that you will get the full advantage of the professional’s expertise and experience. If you choose an unfamiliar brand, expect to pay for some on-the-job learning mistakes. Wasted time means higher costs on these projects. If you do what you can to make starting the job quick and easy, you might save a lot. Before you call a plumber, go through your home and check every faucet and fixture. Make a list of everything that drips, runs, or is clogged. Then, when you bring the plumber out, arrange to take care of all the problems at once. You’ll avoid additional trip charges, set-up time and the hassle of scheduling multiple visits. You might even get a discount. Water and sewage treatment cost money, and the amount you pay is partially based on your usage. When you reduce water consumption, you can save on both counts. If you have an older water-guzzling toilet that needs assistance, give serious thought to replacing it entirely. If you are planning more substantial remodeling work, make sure you get three quotes. More than likely, each plumber will have different suggestions. Listen to their suggestions and reasons, and decide which ideas make the most sense to you. Always get a fixed price for the job and make sure that model numbers are present in the contracts you sign. If the plumber installs the wrong fixture and you can’t figure out whose fault it is, you might have to pay the cost to replace it. Do You Tip a Plumber? Your plumbing professional bills you by the hour at a rate reflecting their skill and the requirements of the task. Generally, tipping isn’t customary. If you want to offer extra thanks for a job well done, give a good online review. How Do You Pay a Plumber? When a professional completes inspection of your plumbing problems, you should receive a detailed estimate. Find out about acceptable payment methods, such as cash, check, or credit card. In most cases, homeowners should not have to pay any money before the job begins. 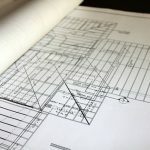 For very complex projects, they may ask for a “good-faith deposit” in advance, often 10% or less. Most will call for the full payment after completing the job. Complicated work that takes weeks could mean you make several payments over the course of the project. Do Plumbers Give Free Estimates? Many pros will offer a free estimate to help secure your business. You will want to confirm that the estimate is accurate. Don’t trust a guess based on your initial phone call, or prices given only verbally. 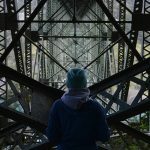 Ask for a breakdown of all costs in writing. Is There a Down Side to Hiring a Cheap Plumber? As with any kind of service you pay for, there’s an important distinction between competitive pricing and cheap work. Plumbers who underbid others by a long shot may cut corners in a variety of ways. A plumbing company that prides itself on low prices over value may expect you not to know the difference. By comparison, someone who works hard to keep costs down without sacrificing quality may give you a better deal, even if they charge more. 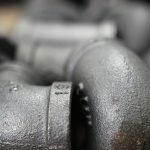 How Do You Find a Good Plumbing Pro in Your Area? Now that you know how to identify a great plumbing pro, you can search for available plumbers near you and locate a few choices that will meet your needs. Use this information during your investigation, you’ll be glad you did. You advised checking every faucet and fixture, and making a list of everything that needs to be checked by the plumber, and to have it done in one go. I’ve been looking for a plumber, as I noticed that my kitchen sink has been dripping a lot more. I’ll make sure to make a note of all the issues, as it could save both me and plumber a lot of time. As a master plumber I have several comments to make about this ariticle. First, most people don’t realize that when they don’t buy their plumbing fixtures from their plumber, they will be losing any kind of warranty from the plumber. Also, the plumbers insurance will not cover damages if the product decides to flood their home a week after the job is done. The plumbers insurance only covers items that they sell. 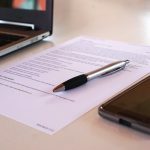 Also, you may be require to sign a waiver releasing them from any kind of liability. Second, you should always have a list for the plumber when you call him . One of a plumbers biggest pet peaves is showing up at a job that you plan on doing a specific task, which you prepared for, only to get the “Hey, while you are here….”. most of the time you bring materials to work on a specific project. One of my best friends is looking to get some plumbing done in a home that he just moved into. I think I will talk to him about hiring a professional who has a good reputation since that will transfer into the quality of work done.